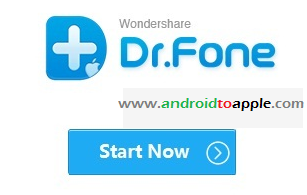 Wondershare Dr. Fone for iOS is the world's first application for retrieving iphone, ipod and ipad data that you think you lost. It also can recover your data from icloud. You might have accidentally deleted your date or lost in factory reset, on either cases the software works well. Using this tool is easy, quick and time saving. Even for the users who have no technical background. Within a few clicks all your data you thought that had been gone will be recovered. This tool can recover your contacts, messages, notes, reminder, Call history, calendar, Whatsapp history and Safari bookmark from your iOS device. 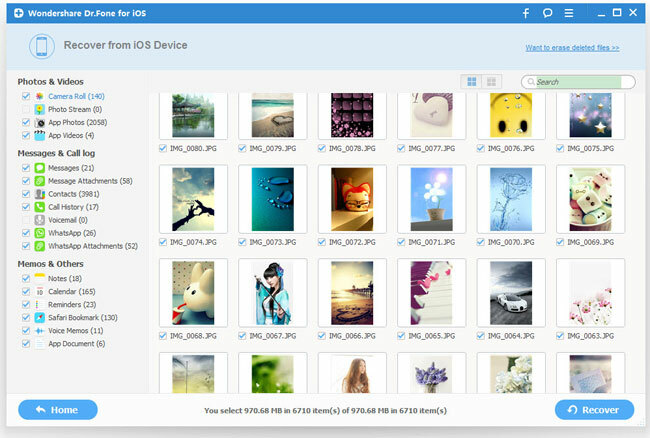 To restore other essential data such as camera roll, photo stream, voicemail, voice memo, app photos, app video and app documents, you need to opt for the backup option from iTunes or iCloud. It can also Fix the Operating System of iOS devices. If your iphone, ipad or itunes is stuck, you can use this tool fix your device within minutes. This tool is also have a trial version. You can try the software before you buy the full version.